If you want to stay ahead in the digital space, join the Circus Street team this week as we head to DMEXCO. 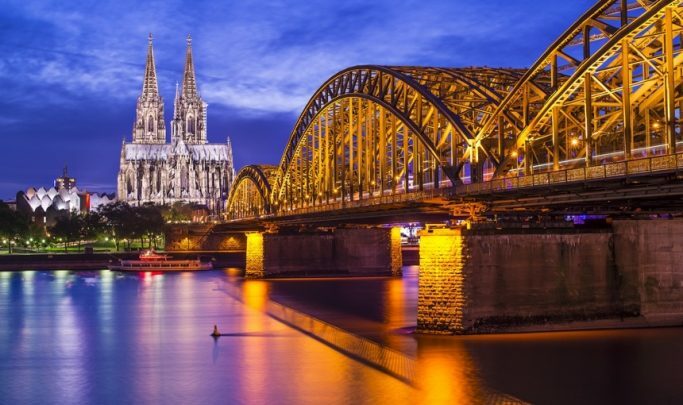 We will be linking up with the great and the good of the digital and marketing industries at the two-day event in Cologne. With its profusion of tech star power and marketing leaders, the expo and conference aims to address knowledge gaps within the fast-moving digital marketing sector. As well as the chance to make connections and ink deals, an impressive line-up of more than 550 speakers offer insights and inspiration. We will be homing in on the digital success stories and examining the trends set to shape the future. Follow us on Twitter (@circus_st) for our live updates throughout the event, which runs from September 12-13. Here are the trends on our radar as we head to Cologne this week. The robots are coming! AI continues to be the industry buzzword and this year we have seen the technology go mainstream. Super smart algorithms are allowing us to unlock our iPhones with our face; helping us – through a chatbot interface – order a Starbucks coffee; and heat our homes energy-efficiently with a Nest thermostat. DMEXCO’s conference is set to showcase the vast range of AI opportunities and challenges within the increasingly technological and automated marketing world. The DMEXCO session ‘Take C.A.R.E of the Future with AI’ has Alex Cheng from Chinese technology giant Baidu, shining a light on how the brand is leveraging the technology to shape the future of autonomous driving, smart travel, and more. With a similar disruptive potential as AI, Blockchain is a digital ledger technology that offers a secure way of making and recording transactions or agreements. Blockchain, the technology best known for enabling cryptocurrency Bitcoin, offers a transparent and instantaneous record of deals. At DMEXCO the presentation ‘Blockchain in Action – Hype No More’ seeks to explain the reason for technology evangelism around Blockchain. In recent years the technology has moved significantly on from just exchanging digital currency. The transparent technological framework has multiple applications across sectors – it could be the solution to the media industry’s transparency issues, for example. Because it operates as a real-time database that maintains a continuously growing list of data records it can validate and analyse consumer journeys through verified ad delivery. On this note, DMEXCO seminar ‘A New Take On Transparency: How the Blockchain is Providing Value in the Media Business’ offers insight from Nestlé, Vizeum and Welt der Wunder TV. Just as top-tier European cities brim with co-working spaces and start-up accelerators, China’s booming entrepreneurial tech sector has started to earn it the moniker ‘Silicon Dragon’. The trend in both geographies is underpinned by growth in native venture capital markets, allowing innovative tech start-ups all-important funding. Homegrown success stories are plentiful, including ecommerce giant Alibaba; messaging app WeChat and search engine Baidu. “Made in China 2025” is a government strategy to update the country’s economy through an investment in advanced industries and it is already staking its claims to AI and clean energy cars. The seminar ‘Powered by the Silicon Dragon: New Take on Digital Transformation’ features Wanli Min of Alibaba Cloud; Yuri van Geest of Singularity University and Rosie Hawkins of Kantar arguing that it’s China, not Silicon Valley, that is the epicentre of digitisation. From getting advice on where to dance the night away to choosing the next holiday destination, voice activated assistants are changing the way people search, shop and interact with brands. 10 percent of US households already have an Amazon Echo smart speaker and ComScore predicts that by 2020 at least half of our internet searches will be conducted through voice commands. As the likes of Amazon’s Alexa and Apple’s Siri become increasingly commonplace in the home or on mobile devices, marketers need to examine how these AI-enabled voice assistants will impact on their strategies. This will have a bearing on everything from when to build brand awareness into the purchase process to how to differentiate through voice search. In the seminar ‘Voice First – How Voice Affects Your Future Brand’, Nestlé’s Adam Skalak; Google’s Tua Sloor, and Spotify’s Marco Bertozzi will seek to address this new order and share valuable knowledge on how to adapt to voice search. With data breaches set to potentially cost businesses as much as €20 million or four percent of their company’s annual global turnover, privacy protection is top of business agendas now. The European General Data Protection Regulation (GDPR) came into force earlier this year and businesses continue to examine what online privacy means now and in the future. DMEXCO workshop session ‘How to be in Control in the Digital Jungle’ will no doubt offer sound advice and a careful explanation of how to reduce risks and work towards compliancy. Whatever your priorities are at DMEXCO this year, it’s sure to be another whirlwind few days full of networking, insights and inspiration. Whatever you’re up to – whether you’re on the floor of the expo, spending your time soaking in the crowd at the Congress stage, or even if you can’t make it this year – make sure you keep one eye on the Circus Street blog where we’ll give you all the insights you need to know from one of the years key events on the marketing conference calendar.